As someone who loves anything from the past (films, books, vintage clothes, etc. 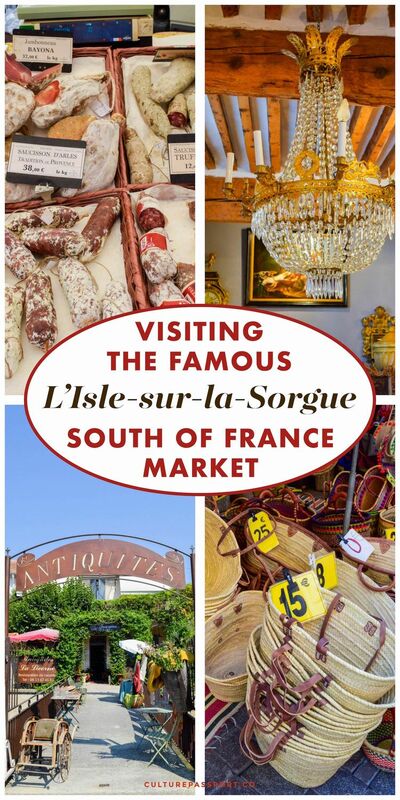 ), I was dying to visit the famous antique market town of L’Isle-sur-la-Sorgue. 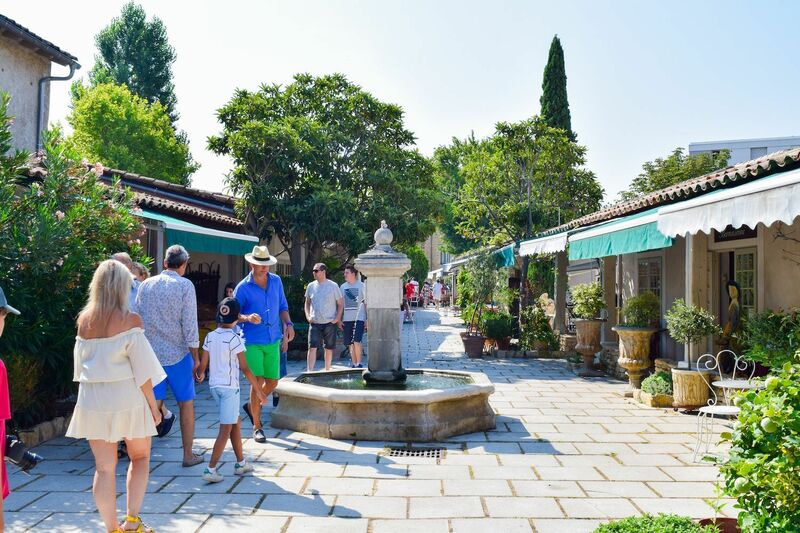 L’Isle-sur-la-Sorgue is a small town in Provence that turns into a giant outdoor antique market every Sunday! 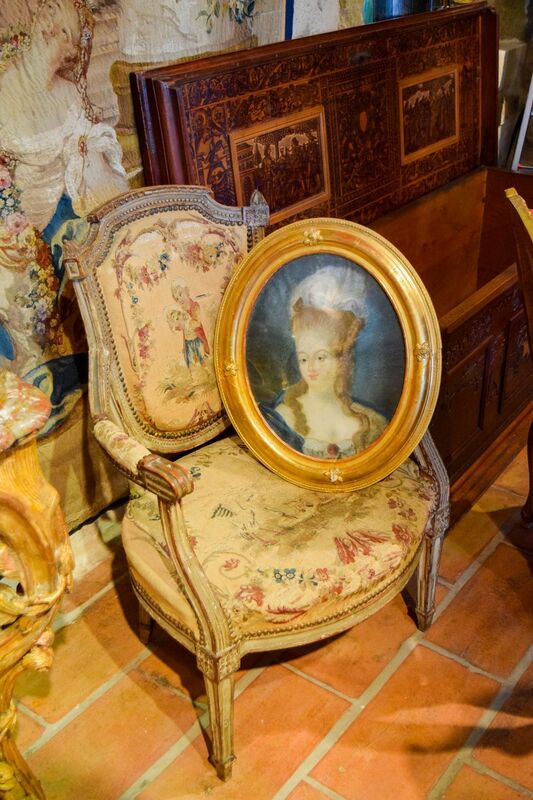 It’s actually the town where you can shop the largest selection of French antiques outside of Paris. 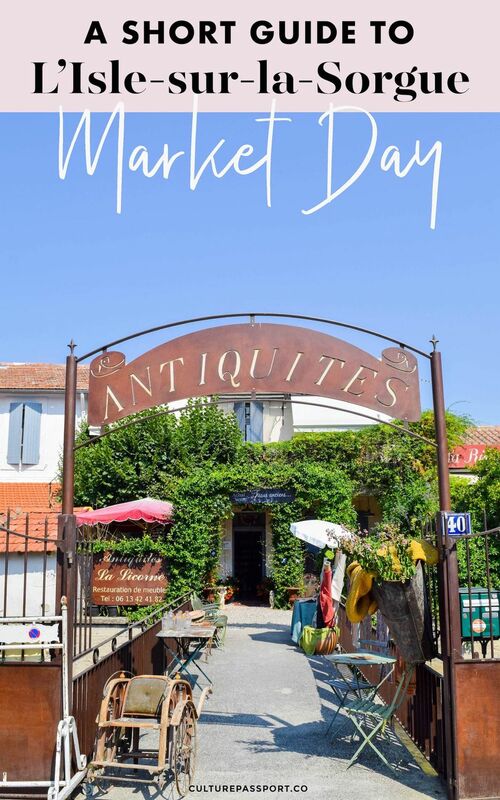 I’m actually really happy that L’Isle-sur-la-Sorgue’s market day is on Sunday because it’s the perfect day trip from wherever you are staying in Provence, on a day when little happens in France otherwise! 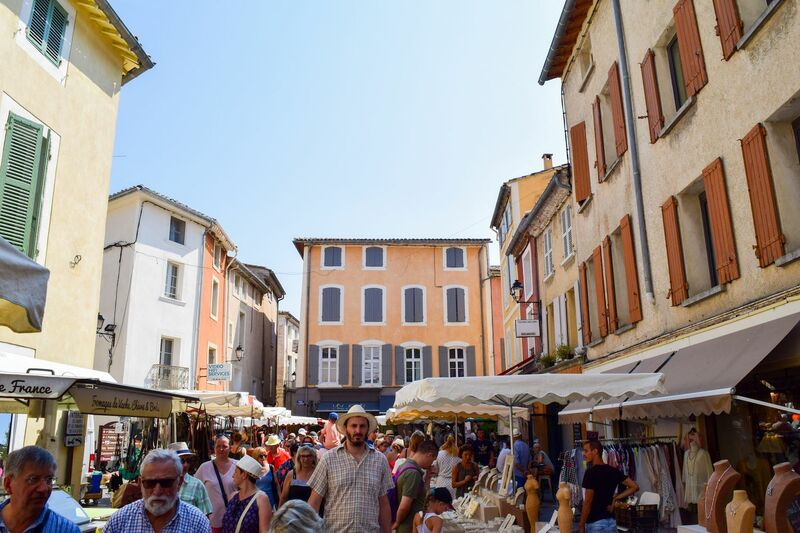 The town is a very well-known destination, so don’t expect to find any bargains, but do expect to find lots of south of France goodies like the black belt I got from a local leather artisan! 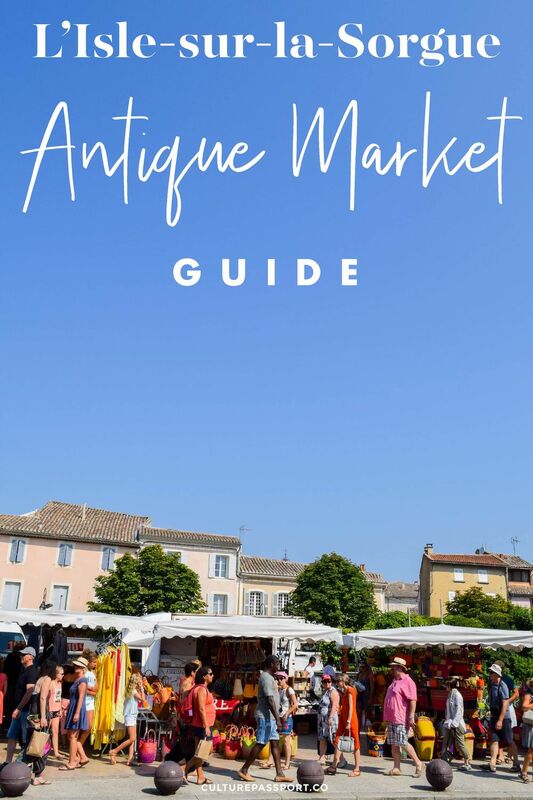 The main drag of the market is along the Sorgue river (stay to the south side if you want to see the antiques), but you can also buy little trinkets and local food produce on the northern part of the river, and even throughout the streets within the city! 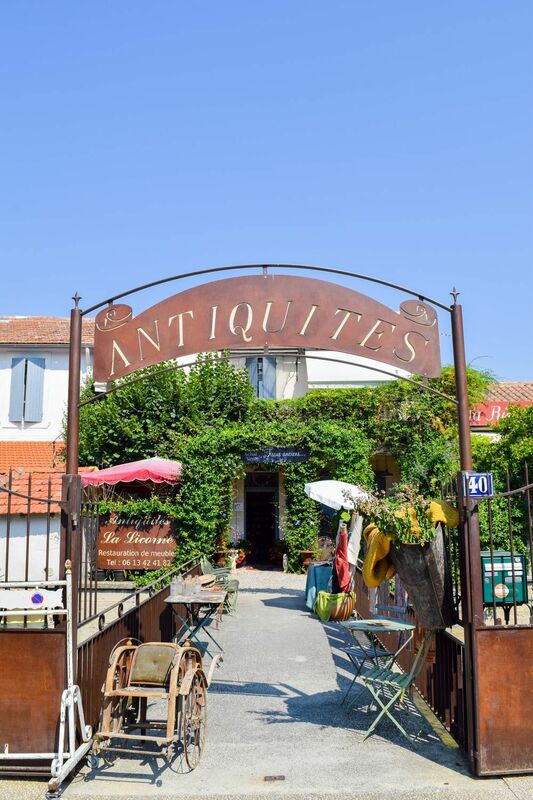 I loved discovering all the little French antique shops alongside the river. The way it’s set up is interesting: There are alleyways which branch off from the street along the river, and each alleyway has anywhere from 5-15 different antique shops that you can go inside. Many of them leave some furniture outside so it really feels like an outdoor antique market more than anything! 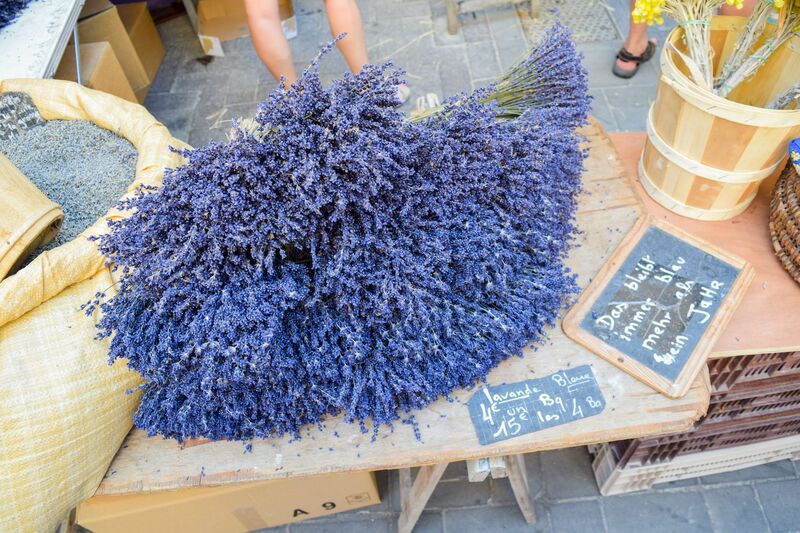 The market runs every Thursday and Sunday, but I recommend visiting on a Sunday for the best selection! It’s also a great thing to do on a Sunday when pretty much everything is closed in France anyway. 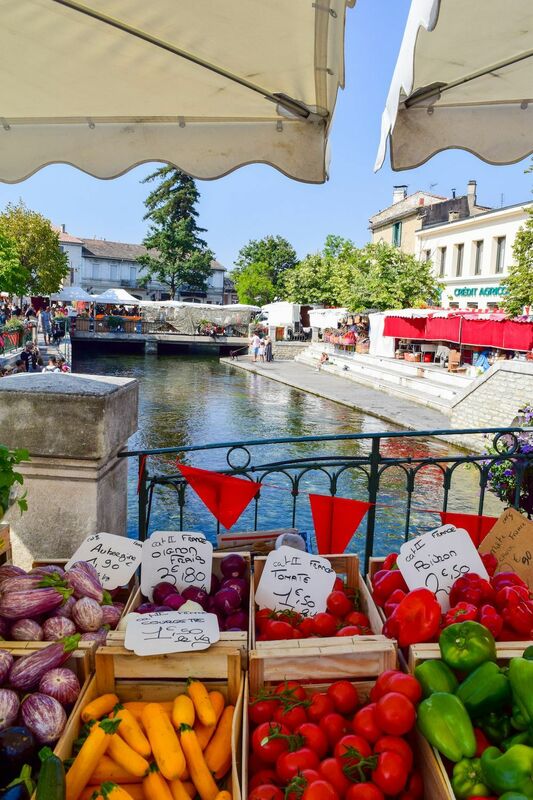 Getting to L’Isle-sur-la-Sorgue isn’t too difficult. I took the TER train there, and the market is just a few minutes walk from the train station. In my opinion it’s the easiest way to get to L’Isle-sur-la-Sorgue, as you don’t have to deal with parking! 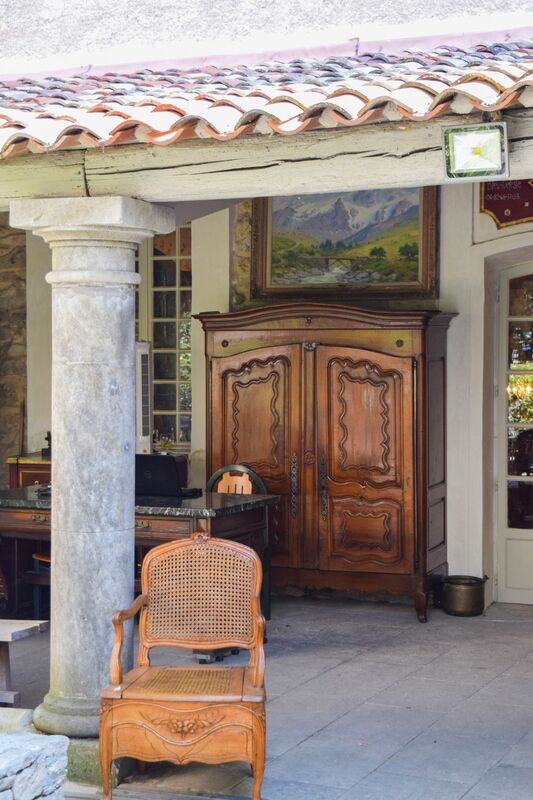 You can drive to L’Isle-sur-la-Sorgue, however you will need to arrive pretty early in order to secure a convenient parking spot. I recommend arriving around 8am, and having a croissant or coffee in town while the merchants set up. However you get to town, be sure to arrive in the morning for the best selection! Merchants open around 9am, and some depart early afternoon. 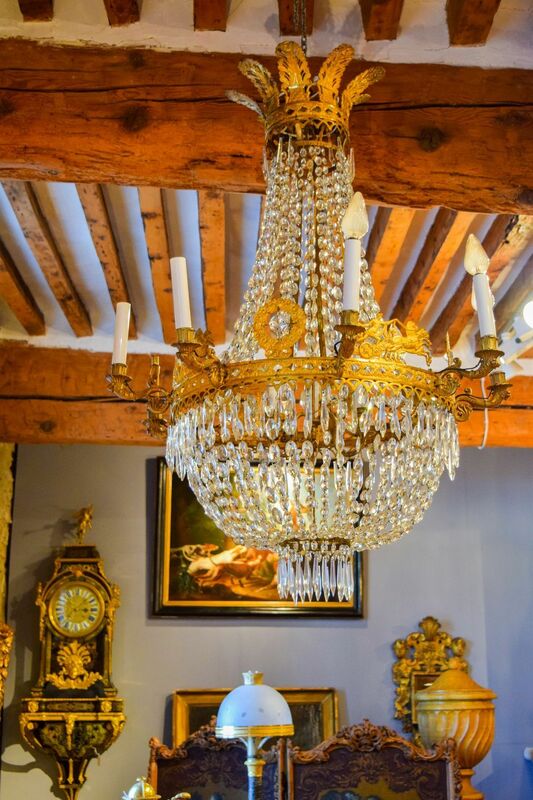 I would recommend walking along the river, and going in and out of each of the antique alleyways to admire the old French furniture. I headed straight toward the river from the train station, and started walking east on the south side as far as the market stretched. After I finished that stretch, I headed back west along the northern part of the river. Then, I walked in toward the city, which by early afternoon was completely packed and not so enjoyable! Ironically, as soon as you reach a street without merchants, it’s completely empty! 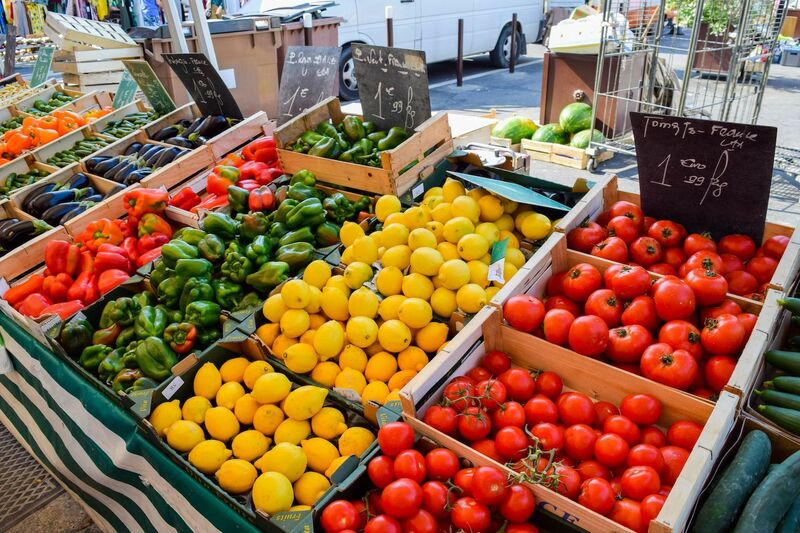 The market has a ton of food, so if you’re looking for a Farmer’s-type market, then you’ll be just fine! 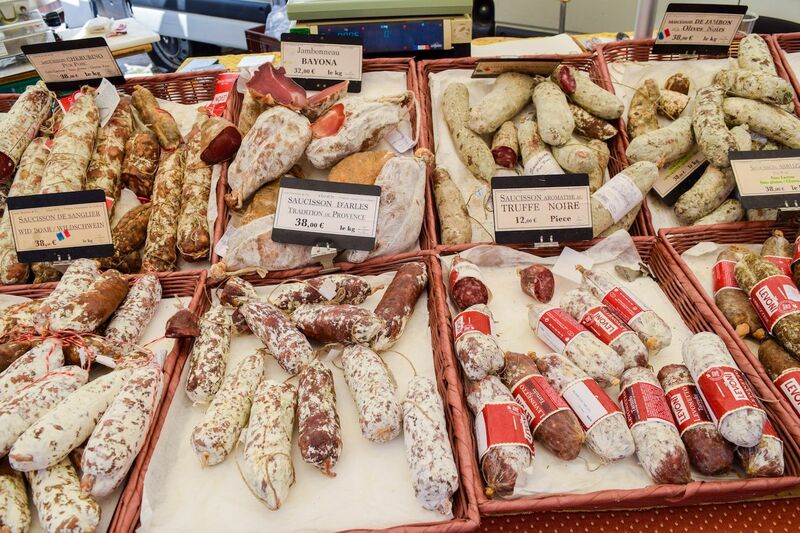 There are French sausages, fresh produce, delicious olives, and of course: cheese! 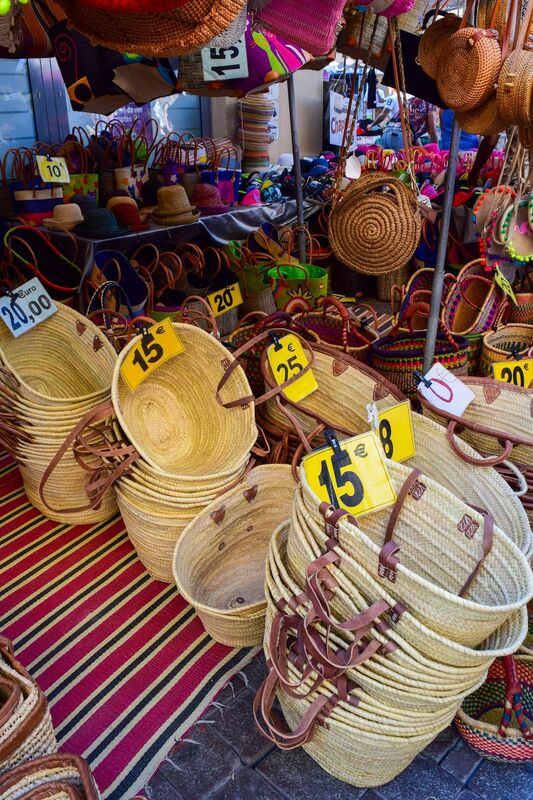 There are also lots of French soap stands, French basket stands, and even clothing! I ended up buying a beautiful black leather belt for around 33 euros! The man even cut it according to my waist size, and changed out the bucket for another one I wanted, on a different belt. 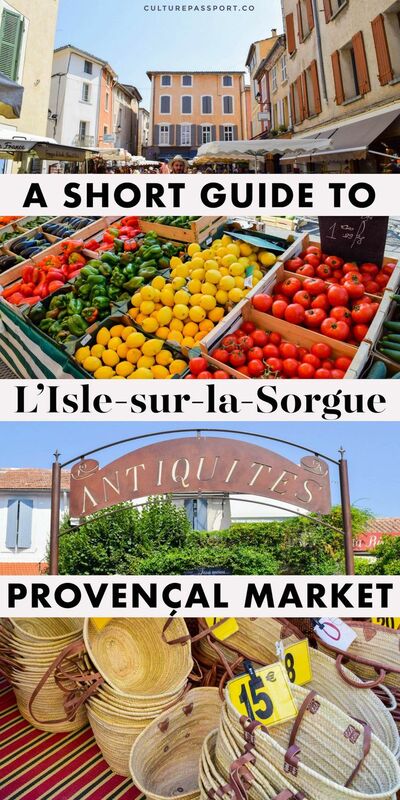 While the main attraction of L’Isle is the antique market, there plenty of other things to do in this charming Provençal town that make it worth staying an extra day if you like! 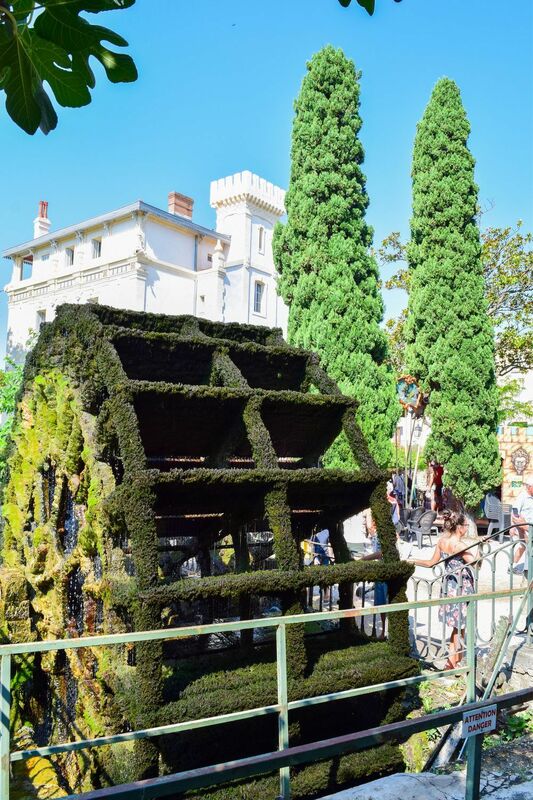 I’d recommend walking along the river and admiring the giant water-wheels, visiting the Campredon Art Center where you can see contemporary artworks in an 18th-century mansion, and finally learning about vintage toys and dolls in the Musée du Jouet et de la Poupée Ancienne!